Singapore remains the most attractive Asia Pacific destination for multinational companies to set up their regional headquarters but competition from China is intensifying, with 21 per growth in companies moving to Shanghai. According to a recent report by Cushman & Wakefield, Australia's most international city, Sydney, faces an uphill battle to maintain its position among the top 6 regional headquarters locations, mainly because of its geographic position on the margins of Asia. "Geographically Sydney is at the periphery of the Asia Pacific region rather than at the centre," the report said. "Recent depreciation in the Australian dollar has helped lessen business costs, though they still remain among the more expensive markets in the region. ""Consequently on broad metrics, Singapore and Hong Kong are often seen as better alternatives, offering western-friendly environments and English-speaking staff, in a more central location. Singapore[/caption]However, the report notes that Sydney still boasts many positives including the ease of doing business with a western-friendly culture and highly skilled, English-speaking workforce, a resilient economy, political stability, mature legal and regulatory systems, as well as excellent quality of life. The report notes, that Asia Pacific is forecast to increase its share of Global GDP from 31% in 2015 to 36% in 2030. Sydney[/caption]As businesses continue to seek locations that are close to their target growth markets, the number of regional headquarters located in Asia Pacific is therefore expected to increase. The analysis shows that all of the six cities covered – Singapore, Hong Kong, Shanghai, Sydney, Tokyo and Beijing – have their positive, and negative, aspects, but that on balance Singapore comes out on top. Shanghai[/caption]Beijing has seen costs rise including cost of acquiring land as well increasing employment costs. As the political centre of China, Beijing has its fair share of state-owned enterprises, however, it is also quite entrepreneurial. Beijing is the country’s single largest hub of both mature telecommunications industries and incubator for related start-ups. 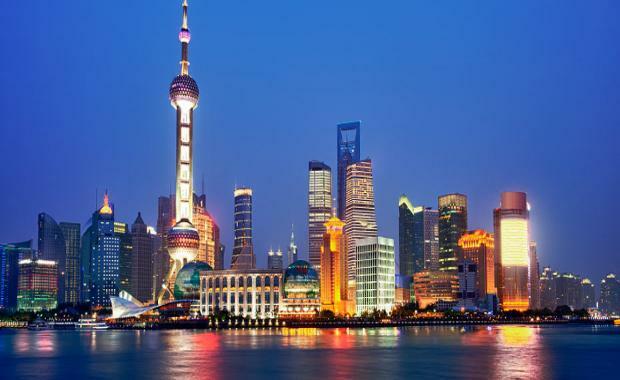 Considering the top 3, Shanghai which placed third, has been the great improver – increasing from just 53 regional headquarters in 2003 to 470 in 2014 at an average annual growth rate of 21% per annum. Direct access into China has been the main propulsion behind the rise of Shanghai, though it has also been aided by its diverse economic base, access to local talent and that it is the commercial heart of China. Beijing[/caption]However the rising cost of land and cost of leasing prime properties are concerns, as are rising salaries and mounting local business competition. Singapore and Hong Kong took the top two places respectively. Both are well established locations for regional headquarters and have longstanding favourable economic and regulatory environments that are designed to attract companies. However, Hong Kong faces a higher cost of living and increasing competition from Tier 1 Chinese cities.